First published back in 2014 and recently updated for 2019, our eCommerce costs guide is a Go-To Source for eCommerce entrepreneurs and industry professionals alike. This eCommerce costs guide deals specifically with eCommerce websites. If you’re looking for a similar costs guide on basic websites you’ll want to head on over to our “How Much Do Websites Cost?” guide otherwise keep on reading! Sometimes the how much does an eCommerce website cost question is better qualified with something like, “I want an eCommerce website for selling my products online. How much will it cost?” No matter the form the question takes about eCommerce website costs I usually have to reply with a very truthful yet non-direct answer. That truthful answer is quite simply… it all depends. 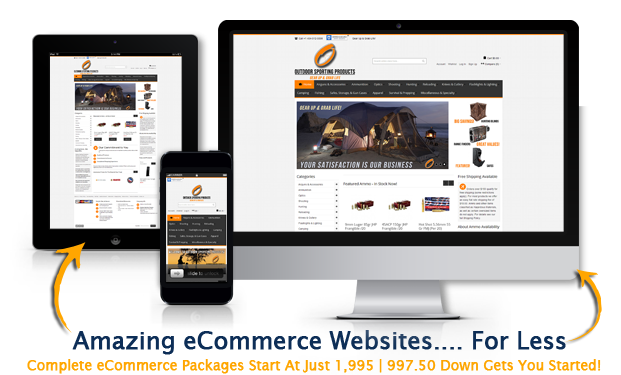 The vast majority of eCommerce websites we develop and launch typically range anywhere from $5,000 – $10,000. How many pages? How many products? If you don’t know exactly that’s OK I tell them. Let’s guess. About how many products? Will any of the products be available in varieties such as color, size, etc.? Do you have the content ready for your eCommerce website or will you need me to write or perhaps assist you with writing the content? That’s only the basic content pages. To do well with your eCommerce website you’ll need to have very good product titles, descriptions, pricing, and other pertinent product specific content ready to add to the eCommerce website. Anyone who tells you otherwise is simply not being truthful with you. The eCommerce online marketplace is extremely competitive and you’ll want to make sure you enter into your new online ecommerce venture with every possible advantage. That means taking the time to either write great content and product descriptions yourself or being prepared to pay for a professional to help you with all of that. Either way it’s a critical piece of the whole eCommerce equation and one that you can’t afford not to do well with. What about the product pictures and site graphics? Do you have those ready or will we need to work together on sourcing them? Will I need to create them for you in Photoshop? Do you have a server already hosting the domain or do we need to work on setting that up as well? Do you have the domain name secured or will you need assistance there as well? Do you want to accept payments via Paypal or would you like to use a turnkey secure payment gateway solution like Authorize.net? Maybe you want to use both or neither? How about let’s discuss the options and we’ll see which fits your unique eCommerce website the best? By now it’s easy to see where I’m going with all this but bear with me a bit longer. I do want to give you some very good “ball-park” eCommerce website cost information to go on. So… how much should a professional quality eCommerce website cost? For the sake of getting a starting point let’s assume it’s a 20 product eCommerce website. You have all the content written (rarely is this the case). You have all of the product images ready, sized correctly, and optimized for web (again this is rare). You have your products, pricing, and information neatly organized into a Spreadsheet format like excel or OpenOffice (even rarer do I see this level of organization with my new eCommerce clients only because most don’t know the Spreadsheets are used in the eCommerce development process). 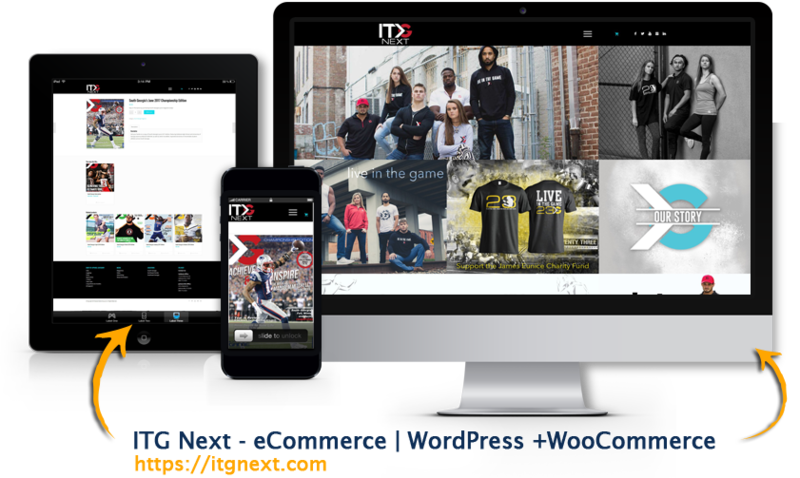 In essence you’re about ready or very close to being ready for an eCommerce website developer like myself to get it all loaded into the new eCommerce database system that will power the new online store. Let’s say that the site we’re pricing for has only a handful of slightly complex variations and that those variations are not price dependent. That simply means that if a product has 3 sizes and 6 colors that the price will be the same across the board no matter what combination of variants that your online shopper selects at checkout. This critical variations/pricing information is essential for an eCommerce developer like myself to be able to give you an accurate projected cost for your new eCommerce website. You can easily see how the “unknowns” like variable pricing make it next to impossible for an experienced eCommerce developer to accurately answer the generic “how much” question. It can mean the difference between a 100 hour eCommerce development project and a 300 hour eCommerce development project. That’s a huge gap between estimated and actual development time that has to be better quantified. Get Started With Your Custom eCommerce Website Starter Package! My projected cost for the eCommerce website project described above would be somewhere between $3,000 – $4,000. I could get that price even more refined with a few more of the unknowns answered. Is this a new eCommerce website or is it a redesign and/or redevelopment project? Will any of the products be available in varieties such as color, size, etc.? If any of the products have variations will those variations be price dependent? 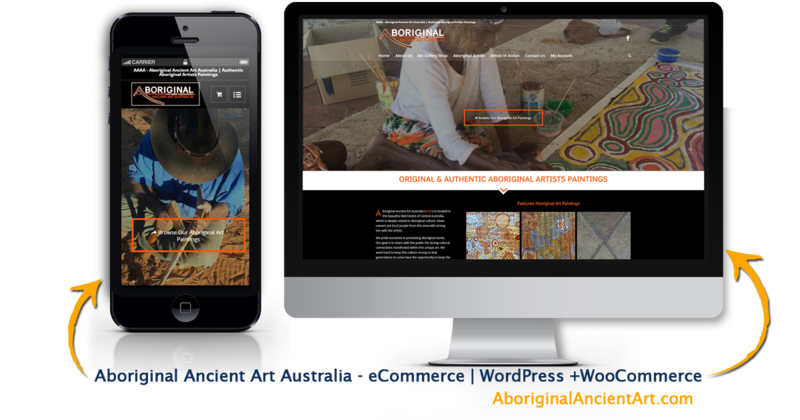 Do you have the content ready for your eCommerce website or will you be needing assistance with content creation? What about the product pictures and site graphics? Do you have a server already hosting the domain or do we need to work on setting that up? Do you have the domain name secured or will you need assistance with domain registration? Do you want to accept payments via Paypal or would you like to use a turnkey secure payment gateway solution like Authorize.net? Do you have your products, pricing, and information neatly organized into a Spreadsheet format like excel or OpenOffice? Would you like a blog installed within your eCommerce website as well? Do you need other special features like social media channels created or advanced SEO? The ballpark prices here are based on more than a decade of commercial eCommerce website development experience. 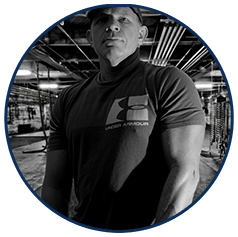 I have developed and successfully helped clients launch eCommerce websites as simple as 1 product and as complex as 25,000 products. eCommerce website prices will relatively be higher or lower depending on your specific eCommerce site requirements. In a quick telephone call that typically last less than 15 minutes I can gather enough information to give anyone an accurate projected cost for their eCommerce website project. Call 229.234.0181 for a free, no obligation, eCommerce telephone consultation. You can also use the contact form on the bottom of this page to request a FREE eCommerce website consultation or a project quote. Great Interaction Design is paramount in successful eCommerce website design. eCommerce Website Interaction Design is heavily focused on satisfying the needs and desires of the majority of visitors who will both visit and shop on the site. While how a website looks is obviously very important, interaction design insures that the design elements foster the type of behaviors (like add to cart and checkout) that will make the shopping experience as intuitive as possible for visitors. For most eCommerce websites, plan on budgeting about $1,000 – $2,000 to insure that the eCommerce website is thoroughly tested for usability and that these metrics are bench-marked not only during development but post launch as well. Analytics should be employed on the site to offer critical Intel on how shoppers and visitors are interacting with the site. eCommerce Website graphics pricing can be a bit obscure at times. It can range from as little as $500 to upwards of $2,000. High-end stock images are not cheap nor is a great graphics designer. 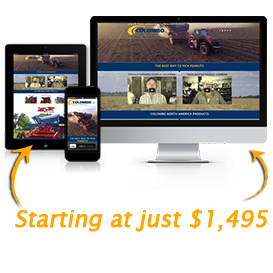 High quality graphics will make your eCommerce website stand out from the pack. When it comes to high quality product images this is one key area that you don’t want to cut corners on. If you’re a distributor it’s likely you already have access to great product images. Oftentimes however the graphics designer will still need to re-size and optimize the images for web. A custom designed logo falls into this same category. If you don’t have a great one already it’s highly recommended to get this worked out in the design package as well. Do you really want to use a $5 to $50 dollar generic logo from a cheap web source to represent the brand you’re investing a few thousand dollars at minimal into? At Georgia Web Development we utilize both open source and proprietary eCommerce software that’s trusted by more than 180,000+ online retailers including industry giants like Nike & OfficeMax. 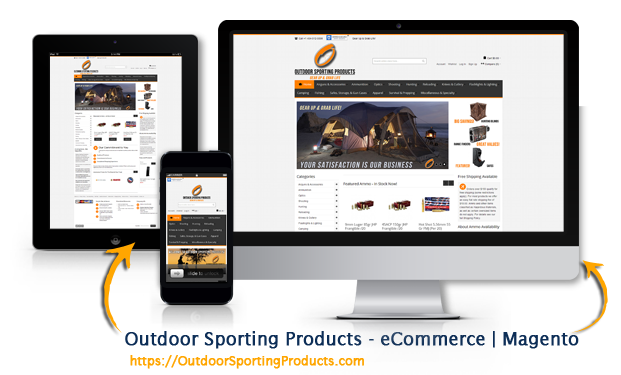 Our ecommerce software solutions are unparalleled in performance, reliability, and security. 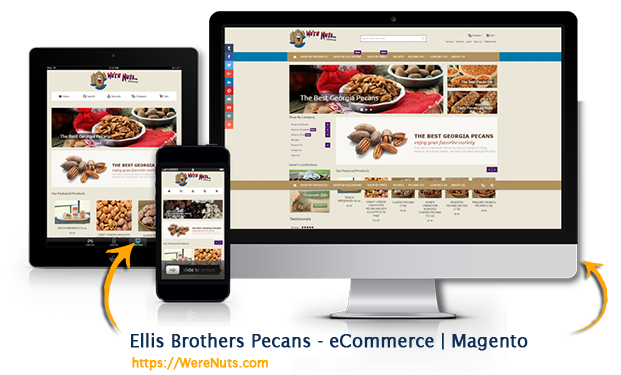 We specialize in both Magento and WooCommerce eCommerce software solutions. 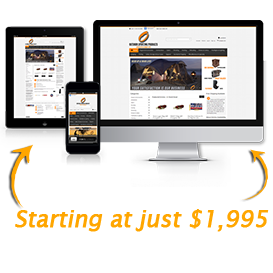 We have years of experience in customizing both of these eCommerce CMS systems for clients with all types of online shops. If you’re planning for the eCommerce website to one day generate a substantial portion of your income please don’t skimp on the initial investment in high quality design and development. What would you pay for a brick and mortar retail shop? You might easily invest $100,000 to $200,000 on the lease, inventory, interior design, marketing, advertising, utilities, staff, equipment, and insurance, etc. Why be so hesitate about paying a reasonable fee for a digital version of your business? For a professionally designed and developed eCommerce website realistically you can expect to pay as little as $2,500 or as much as $10,000 or more. Simply use the form on the bottom of this page to send us your eCommerce website questions or request a FREE eCommerce project proposal. You can even include a phone number (optional) and we’ll call you. At Georgia Web Development we know first hand the many challenges and decisions that you’ll face along the way to establishing a successful eCommerce presence on the web. From choosing the right eCommerce website hosting provider to deciding on the best eCommerce inventory management approach we’re here to offer our free expert advice and eCommerce industry knowledge without any fancy sales pitches thrown in (we promise). Best wishes on your eCommerce venture! 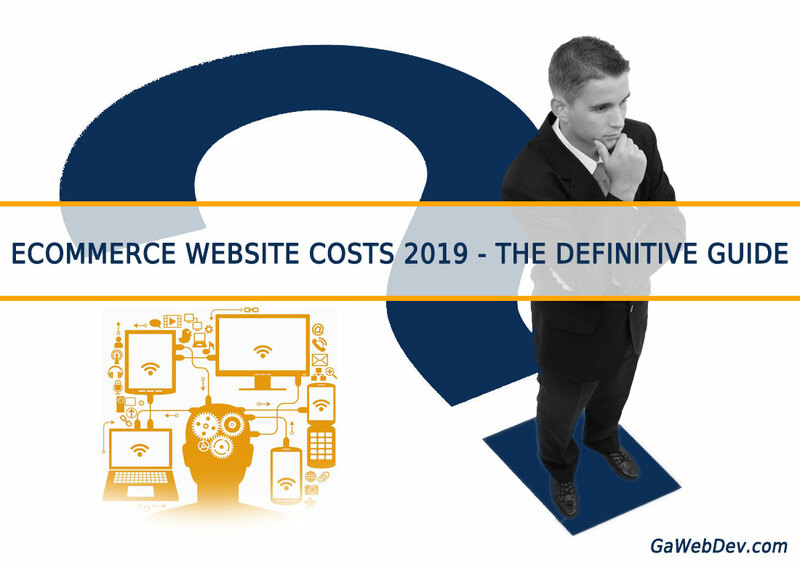 Share "How Much Do eCommerce Websites Cost In 2019?"